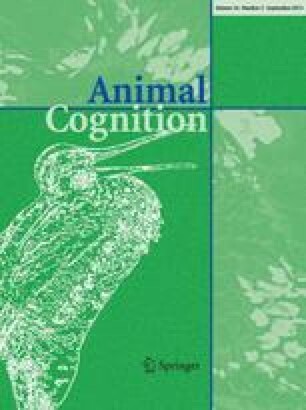 The ability of animals to use behavioral/facial cues in detection of human attention has been widely investigated. In this test series we studied the ability of dogs to recognize human attention in different experimental situations (ball-fetching game, fetching objects on command, begging from humans). The attentional state of the humans was varied along two variables: (1) facing versus not facing the dog; (2) visible versus non-visible eyes. In the first set of experiments (fetching) the owners were told to take up different body positions (facing or not facing the dog) and to either cover or not cover their eyes with a blindfold. In the second set of experiments (begging) dogs had to choose between two eating humans based on either the visibility of the eyes or direction of the face. Our results show that the efficiency of dogs to discriminate between “attentive” and “inattentive” humans depended on the context of the test, but they could rely on the orientation of the body, the orientation of the head and the visibility of the eyes. With the exception of the fetching-game situation, they brought the object to the front of the human (even if he/she turned his/her back towards the dog), and preferentially begged from the facing (or seeing) human. There were also indications that dogs were sensitive to the visibility of the eyes because they showed increased hesitative behavior when approaching a blindfolded owner, and they also preferred to beg from the person with visible eyes. We conclude that dogs are able to rely on the same set of human facial cues for detection of attention, which form the behavioral basis of understanding attention in humans. Showing the ability of recognizing human attention across different situations dogs proved to be more flexible than chimpanzees investigated in similar circumstances. This study was supported by the Hungarian Academy of Sciences (F226/98) and an OTKA grant (T029705). We want to thank all the owners and their dogs at the Top Mancs Dog School for their devotion and endless patience while taking part in the tests. For comments on the manuscript, we thank Péter Pongrácz and we are grateful to Enikő Kubinyi and Tamás Ferenczy for taking and editing the photos. These experiments comply with the current laws of Hungary regarding the use of animals in research.